Step 1: Put your stage managers' phone number into your contact list. If you are going to be late/miss a rehearsal, please text/call one of these two (include your name in the text message). 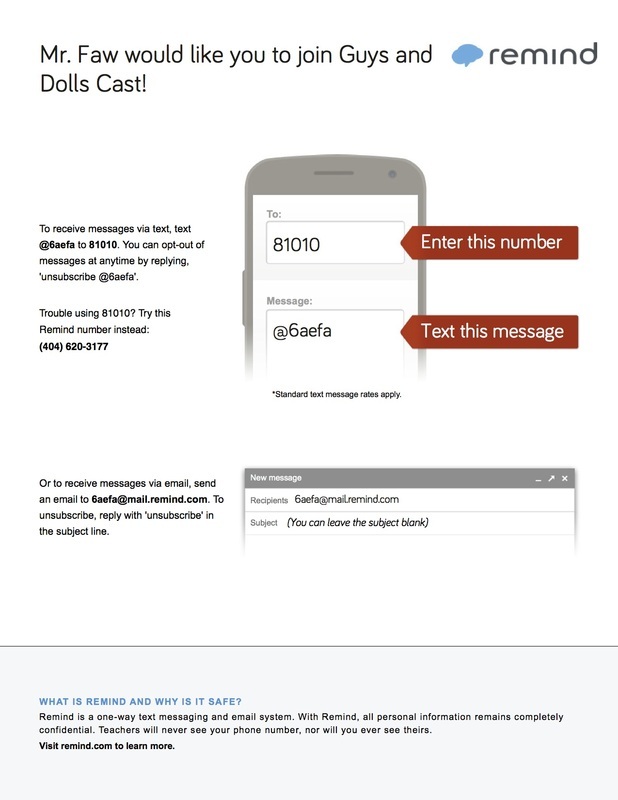 Step 2: Students and Parents of Cast Members: Please sign up for reminder message via the steps below.